Like many of you, I got this month's Glamour magazine and was drawn in by the freebie - an Eyeko skinny eyeliner. Eyeko are a brand I haven't used in a long time since their pink packaging days so I was interested to try this felt-tip pen/eyeliner. 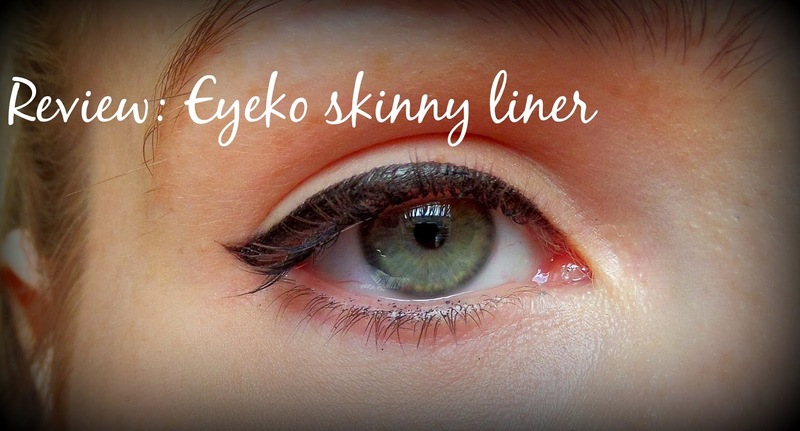 This eyeliner gave a really lovely dark, crisp line and made application really easy. I've been using it recently as my go-to eyeliner and application has been much quicker in the mornings than with a gel eyeliner. Flicks are more easily drawn on so good for those who find symmetry challenging and the colour lasts all day without flaking or going dry. It does tend to get a "dull" look which you don't get with a more glossy gel eyeliner so will look quite dry towards the end of the day. The eyeliner is definitely worth buying Glamour for, and it comes in Navy blue. If you have missed all the magazines, they are also available from Eyeko for £12.